Fifty years ago, Walt Disney opened a 15-minute cruise around the world at the Disneyland theme park in Anaheim, California. Following its debut at the 1964 World’s Fair in New York, “It’s a small world” became a successful Disney attraction that can be viewed today at its theme parks in Anaheim, Orlando, Paris, Tokyo, and Hong Kong. Yet a cruise to view singing dolls from around the small world is no longer enough for most people – today they want to experience this world themselves. Global travel has increased dramatically over the half century since the small world attraction opened. The international travel sector is booming, particularly for city travel, cruise holidays and long-haul trave (ITB Berlin, and IPK International, 2016). City holidays have increased by 82% since 2008 and cruise travel by 248% (ITB Berlin and IPK International, 2016, p. 8). The travel boom includes visits to “last chance to see” destinations that are being impacted by climate change, such as the Great Barrier Reef and the Arctic (Eijgelaar and collegues, 2010) A growing tendency for “binge travel” is considered by some authors as a new form of addiction that is threatening the health of the planet (Cohen and colleagues, 2011). With over 100,000 airplane flights per day moving millions of people around the world, it has indeed become a small world, after all. Our small world is becoming a warmer world. Global temperatures increased by 0.85°C between 1880 and 2012, and are expected to continue to increase over the coming decades (Pachauri and collegues, 2014). Temperature increases will be accompanied by changes in rainfall, sea levels, and the frequency and distribution of extreme weather events, among other things. Climate change poses great risks to natural and social systems, and both people and other species are vulnerable. Climate change science is clear about the role of humans in the climate system, and research attributes much of the recent warming to greenhouse gas emissions resulting from the burning of fossil fuels and forests. Recognizing that there is a small window of opportunity to avoid dangerous climate change, the IPCC emphasizes that the stakes are high: “Without additional mitigation efforts beyond those in place today, and even with adaptation, warming by the end of the 21st century will lead to high to very high risk of severe, wide-spread, and irreversible impacts globally (high confidence)” (Pachauri and collegues, 2014, p. 17). The leaders of over 190 countries have acknowledged both the urgency and potential irreversibility of climate change, and the 2015 Paris Agreement makes it clear that immediate reductions in greenhouse gas emissions are needed. Article 2 of the agreement sets an ambitious target of “holding the increase in the global average temperature to well below 2°C above pre-industrial levels and to pursue efforts to limit the temperature increase to 1.5°C above pre-industrial levels” (UNFCCC, 2015). Given the risks associated with climate change and the urgent need to reduce greenhouse gas emissions, what does this mean for travel? Climate change will undoubtedly influence patterns of travel, just as changing patterns of travel will continue to influence the climate system. However, the influence of climate change on tourism demand remains uncertain, as tourists are considered to have a very high adaptive capacity (Gössling and collegues, 2012). Heat waves, droughts, flooding and other extreme events can influence travel destinations, including infrastructures and experiences. Changing temperatures are likely to shift tourism destinations away from extremely hot areas and toward more temperate areas. Increasing sea levels are likely to affect coastal destinations, particularly (but by no means limited to) low-lying islands. Sandy beaches that dominate the world’s open coastlines and attract millions of tourists each year are threatened by climate change and other impacts of human activities (Schlacher and collegues, 2007). A changing climate may increase the demand for travel to some destinations. For example, there is a growing interest in visiting threatened locations, such as glaciers, coral reefs, and tropical forests (Eijgelaar and collegues, 2010). The melting of sea ice in the Arctic, which is considered by scientists as a sign of trouble, may facilitate rather than discourage cruise ship tourism (Borgerson and Scott, 2008). People may have to travel farther to find conditions suitable for skiing. As Dawson and Scott point out, “The irony in the projected contraction of ski area supply causing increased travel distances for skiers is the resulting increase in transportation emissions, which contributes further to climate change (Dawson and Scott. 2013). Can society achieve the 1.5°C target in an interconnected world where people are traveling more than ever? Travel has become a social norm, at least for a certain class of people, including many who are concerned about climate change. One study of Norwegians’ travel behavior indicates that those with incomes in the highest quintile have a climate impact that is 240% larger than those with incomes in the lowest quintile (Aamaas and Peters, 2017). A recent New York Times article suggested that people will never give up travel, but that there are ways to make it more “green” – for example, by not changing sheets and towels every day at hotels, taking buses, offsetting carbon emissions, using reusable bottles, and so on (Galbraith, 2016). However, these actions are largely symbolic relative to the emissions associated with flights (Burns and Bibbings, 2009). 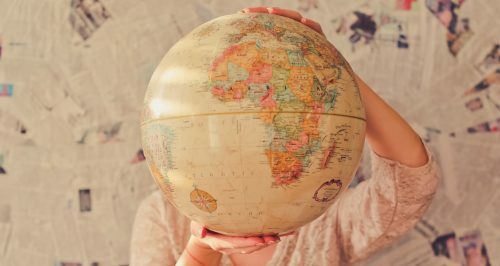 Given the expansion of global travel, such actions alone are unlikely to contribute to the substantial emissions reductions called for by both the IPCC and the Paris Agreement. Tourism researchers who calculate and project greenhouse gas emissions associated with travel for tourism have found that it accounts for at least 5% of greenhouse gas emissions, and possibly more (UNEP, 2017). Yet tourism is only part of the problem. The carbon footprints of scientists, politicians, activists, business people and many others who are concerned about climate change are much higher than those of the people who are most vulnerable to the impacts. The environmental impacts of conference travel was raised as an environmental concern over fifteen years ago by Høyer and Naess (2001), and there are growing efforts to raise awareness about academia’s climate impacts through reduced air travel. Nevertheless, travel for meetings, incentives, conferences and exhibitions increased by 37% between 2007 and 2014, accounting for 54% of the business travel market (ITB Berlin and IPK International, 2016). At the same time, traditional business travel has declined due to technological solutions. Travel has both negative and positive dimensions. In some cases, travel represents nothing more than an expansion of the consumer culture, where the “see, buy, fly” mentality promoted in airport duty free stores is extended to experiences such as trekking in the Himalayas or wine-tasting in Italy, which are often devoured and then replaced by the next adventure (Burns and Bibbings, 2009). It contributes to a world where shopping, whether for bargains or luxury goods, becomes an international adventure, and where having a large global footprint is seen as an asset or a source of social capital (e.g., country counting). This approach to travel considers the world as a large playground. The playground may be fun for those who can participate, but it widens the disconnect between human actions and their impacts on social and natural systems. There are numerous paradoxes associated with travel in a changing climate. It is, for example, a paradox that those seeking to explore and experience the world are degrading or destroying it, excluding others from enjoying the same experiences in the future. Another paradox is that those traveling the world to work in the name of climate change mitigation and social justice are, despite the best of intentions, also contributing to increased greenhouse gas emissions. Finally, it is a paradox that many people travel to disconnect from their daily routines on a vacation, often to fulfill a desire to experience something new, when they could have new experiences at home on a “staycation” (Odland, 2016). Metaphorically, we all travel with baggage – our assumptions and beliefs about the world around us, the other people and species in it, and our role in shaping the future. When we travel, what we pack and take with us in the realm of thoughts and emotions may differ dramatically from what we bring back. A single “a-ha” moment may change the way we engage with the world around us when we return. Travel offers us an opportunity to (re)discover others and ourselves, to lose our baggage, to lighten our load and to lessen the impact that we have on the planet. Yet it is not only through travel that we are offered opportunities to challenge our assumptions, release our prejudices, or explore the uncomfortable and unknown. Sometimes, all we need is a good book, a nice walk, or a small local adventure. Adaptation to climate change is about more than changing behaviors in response to new climate conditions. Adapting to the reality of a changing climate also involves questioning what we take for granted and seeing things from new perspectives. It is perhaps a cruel irony that we are likely to see a dramatic increase in the number of displaced people in the coming decades – people whose assets, livelihoods and homes will be diminished or destroyed by the impacts of climate change. Climate refugees will not be referred to as travelers, and it remains to be seen whether they will be welcomed into societies that are themselves experiencing the impacts of climate change. This includes societies that currently pride themselves on their hospitality for tourists, their cosmopolitan outlooks, and their international humanitarian concerns. Unless we make the connection between our actions and their consequences, especially in relation to the well-being of distant “others” and the fate of our favorite “last chance” tourist sites, we are all likely to feel displaced from the world that we know and love. Yet we have a window of opportunity to respond, and to do so responsibly. Traveling is unlikely to stop as the climate changes, but as we change, we may start to question the need to travel so much, consume so much, and experience so much at the expense of our own future. Perhaps we will recognize that there is no place like home, and that our home – Planet Earth – is worth taking care of. We do not need singing dolls at Disneyland to tell us that it is a small and precious world, after all. This article was published in Tvergastein Issue 8 December 1, 2016, under the theme “Something to Declare: Unpacking Travel”.